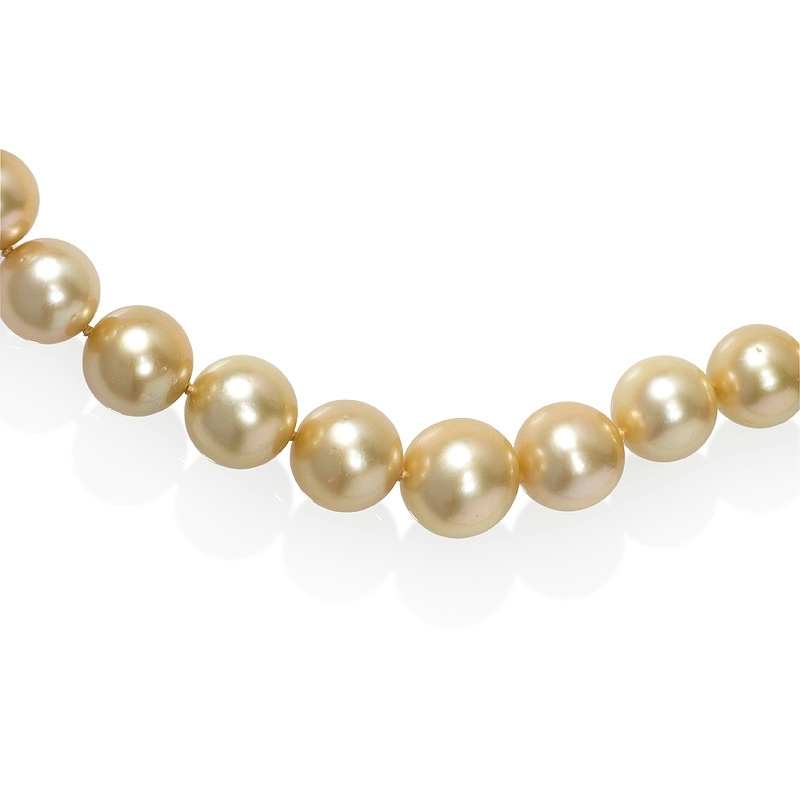 Pearl Details: 31 Golden south sea pearls, full of luster, measuring 12mm to 16.2mm in diameter. 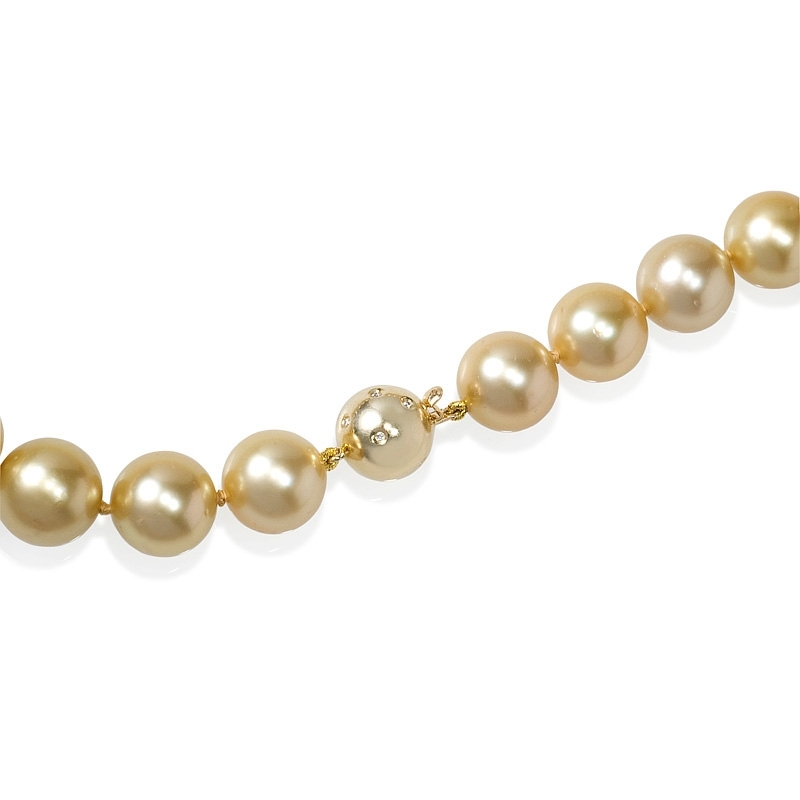 Necklace details: 14k yellow gold. 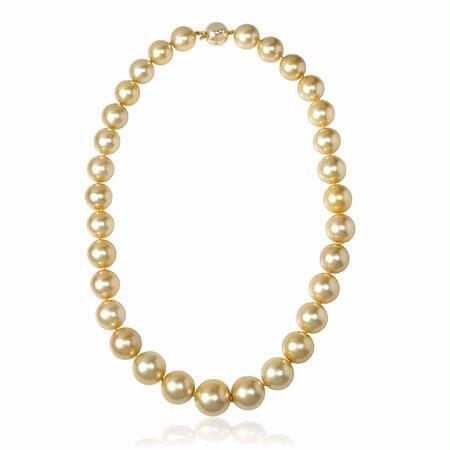 This stylish 14k yellow gold pearl necklace, contains 31 golden south sea pearls with natural colors, full of luster, measuring 12mm to 16.2mm in diameter. This pearl necklace measures 18 inches in length and 16.2mm at the widest point.